The Former Norwegian Cruise Ships, Where Are They Now? Cruise Tips Norwegian Cruise Line Tips The Former Norwegian Cruise Ships, Where Are They Now? Norwegian Cruise Line (NCL) is one of the most popular cruise lines in the world, well known for its casual, freestyle experience and stunning ship hull art. Today, the line is home to 16 amazing ships, with seven new ships already ordered and planned for launch over the next few years. 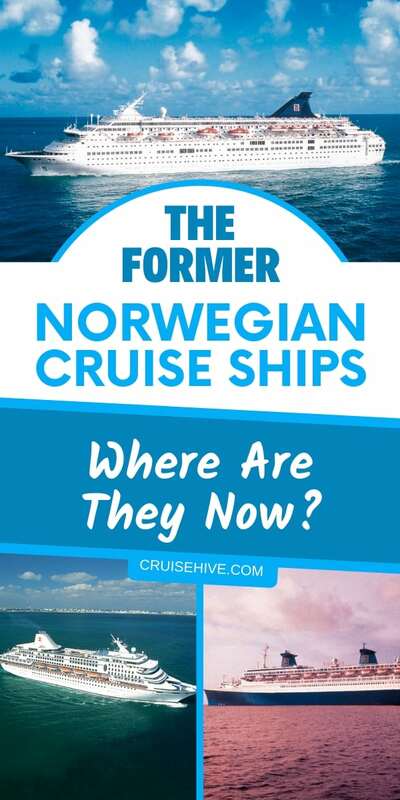 What many passengers don’t realize, however, is that there are 19 ships that previously belonged to Norwegian Cruise Line that are no longer part of the fleet. Who are these former NCL cruise ships, and where are they now? Sunward was originally built in 1966 and served the first few months of its services with Kloster Sunward Ferries running from Southampton to Gibraltar before being transferred to the then Norwegian Caribbean Line in December of 1966. 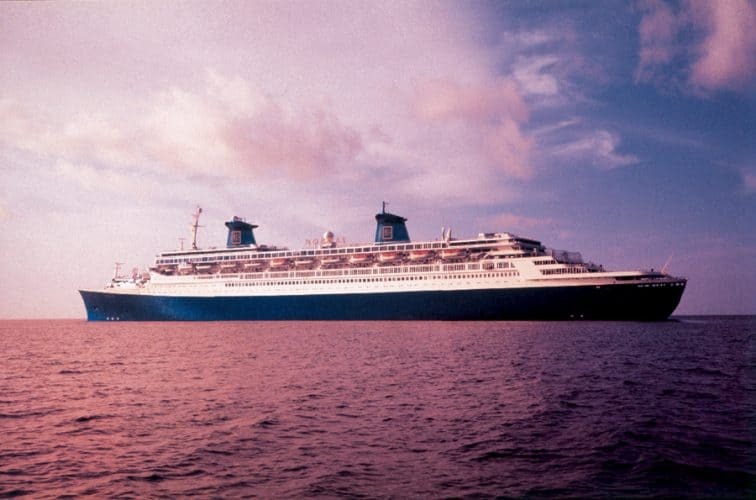 Now working as a cruise ship, Sunward sailed from Miami for a time before returning to Europe, and was eventually sold several times and serviced different markets, including the United Arab Emirates and throughout Asia. In 2004, the ship was finally scrapped. Built in 1968, Starward was the first ship built exclusively for NCL. It served valiantly for many years, before being sold in 1995 to the Greek line Festival Cruises. In 2004, the ship was sold again, this time to Abou Merhi Lines, and was relocated to Dubai. 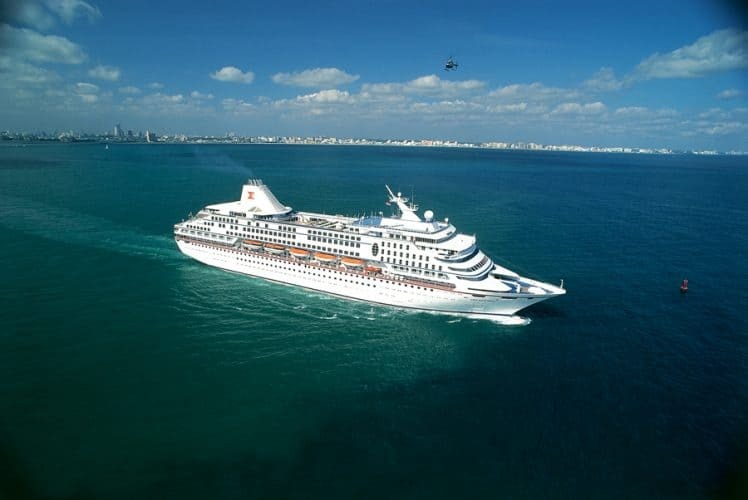 In 2006, the ship was sold yet again, this time finding a home with Louis Cruise Lines, and after renovations and a name change to Orient Queen, continued delighting passengers. In July 2018, the ship was retired and scrapped. Another of NCL’s earliest ships, Skyward entered service in 1969. Her early years were plagued with difficulty, however, when extensive illness ravaged the ship through infected water supplies in 1973 and a devastating boiler room fire occurred in 1979. In 1991, the ship was sold and became Shangri-La World, sailing out of Singapore and other Asian ports. The ship went through a variety of sales and names before becoming a casino ship in 2000. Today, she is still sailing with New Century Cruise Line as the MV Leisure World, offering guests a casino, karaoke, miniature golf, a sauna, and other amenities. This ship began sailing in 1971, offering a variety of Caribbean cruise itineraries from Miami. In 1987, she was moved to Los Angeles to sail to Catalina Island, San Diego, and Ensenada, an expansion that changed NCL’s name from Norwegian Caribbean Line to Norwegian Cruise Line. In 1994, Southward was sold to Sun Cruises and offered voyages in the Mediterranean. Over the next two decades, the ship was sold and renamed several times, until she was finally scrapped in 2013. Originally sailing with Cunard Cruise Line as Cunard Adventurer, this ship was built in 1971 and purchased by NCL in 1977. In 1991 the ship was sold again, this time to Epirotiki Line, and eventually there were other sales and transfers, though the ship continued to offer various voyages in the Mediterranean and around the Greek Isles. In 2014, the ship was finally scrapped in India. Built in 1962 for the French line Compagnie Générale Transatlantique, this ship was the longest in the world – measuring 1,037 feet long – until 2004. In 1979, after having been decommissioned for five years, the ship was purchased by NCL and underwent $80 million in renovations to transform her from a transatlantic liner to a ship better suited for shorter vacation cruises. She was rechristened in 1980 as Norway, and revolutionized cruising by offering more luxurious amenities and making the ship a destination in itself. After several renovations over the years, the ship was decommissioned in 2003 and finally scrapped in 2008, after special arrangements were made to handle potentially toxic materials in the ship, including asbestos. This ship was built in 1988 as Seaward, but was rechristened in 1997 after a hefty renovation. 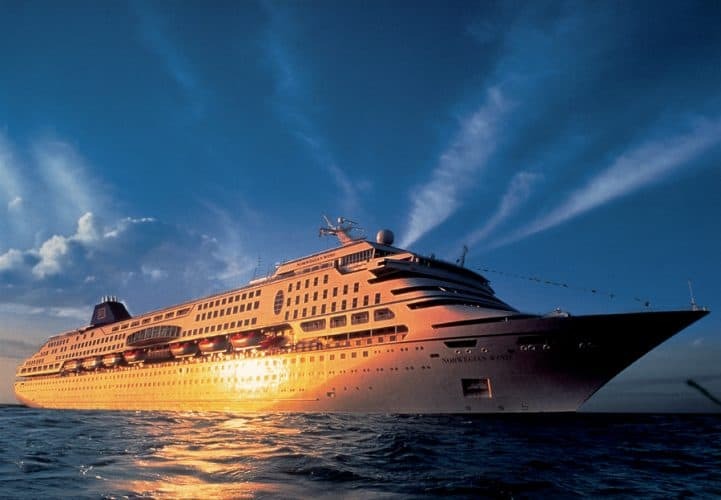 In 2005, the ship left NCL and moved to Star Cruises, at that time renamed SuperStar Libra. She continued sailing in various markets, including the Mediterranean Sea and Aegan Sea, in South America, and in Asia. In July 2018, the ship was converted to a hotel ship at a German shipyard. Constructed in 1972 for Royal Viking Line, Westward was originally named Royal Viking Star until it was purchased and renamed by NCL in 1991. The ship offered sailings to Bermuda and other destinations in the Caribbean, but its life with Norwegian Cruise Line was short-lived. In 1994, the ship was transferred to Royal Cruise Line, a sister line to NCL, at which time it was renovated again, renamed Star Odyssey, and began offering Mediterranean cruises. In 1996, amidst financial difficulties for NCL, the ship was sold to Fred. Olsen Cruise Line and renamed Black Watch. The ship is still sailing today. Another ship built for Royal Viking Line, Sunward entered service as Royal Viking Sky in 1973 but was purchased by NCL in 1991 and renamed. In 1992, the ship was sold to Birka Cruise and renamed Birka Queen to sail in the Baltic Sea. Later that year, the ship returned to NCL briefly, regaining the Sunward name. In 1993, she was chartered to Princess Cruises as Golden Princess, and for the next few years she would shift between different lines and different names. In 2005, the ship was sold to Fred. Olsen Cruises and became Boudicca, the name she still has today as she continues in service. Built in 1973 for Royal Viking Line as Royal Viking Sea and later Royal Odyssey after sailing for Royal Cruise Line (not to be confused with Royal Caribbean Cruises), this ship was purchased by Norwegian Cruise Line and renamed in 1997. 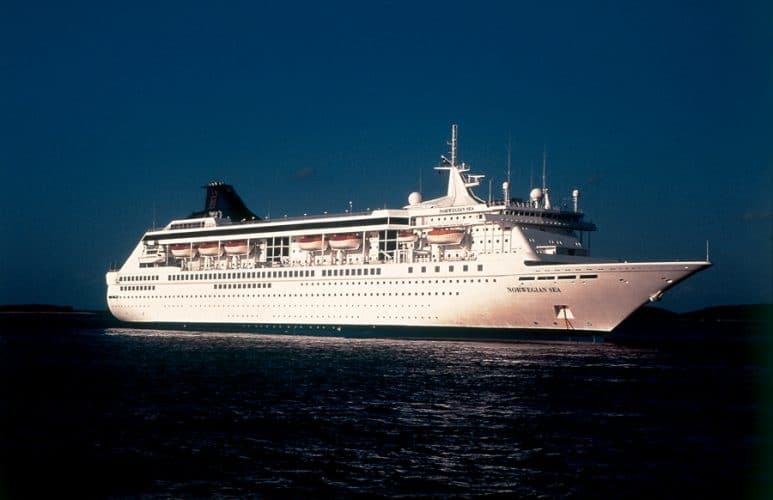 In 1997 and 1998, the ship sailed for the short-lived Norwegian Capricorn Line offering Australian cruises, and was the only vessel to sail under that branch of the company. In 2001 she moved to Star Cruises, and over the next several years switched lines several times, before being purchased by Phoenix Reisen in 2005 and becoming MS Albatros, the name she still sails under today. Built in 1992, Dreamward was the first NCL ship built with the deliberate intention that it could later be lengthened and expanded. That is exactly what happened in 1998, at which time the ship was renamed to Norwegian Dream. She offered a range of Caribbean and European itineraries for several years, before being transferred to Star Cruises in 2004. In 2008, the ship was offered for sale to Louis Cruise Lines, but that sale failed. The ship was eventually renovated and became SuperStar Gemini in 2012, and moved to her new homeport in Singapore. Another ship designed to be later stretched and renovated, Windward was constructed in 1993 and underwent her lengthening in 1998. In 2004, ownership of the ship was shifted within the company, and eventually, she was transferred to Star Cruises in 2007. At that time the ship became SuperStar Aquarius, and began offering voyages in Asia, including Hong Kong, China, Vietnam, and Singapore. Built in 1980 to serve as a ferry, this ship was rebuilt as a cruise ship in 1986. The ship had a poor history, however, with several fires, different rebuilds, and changes in service, as well as a partial sinking in 1994 after striking ice. In 1995, NCL purchased the ship and operated it as Leeward for five years in the Bahamas, before transferring the vessel to Star Cruises in 2000, when it was renamed SuperStar Taurus. After another rebuild in 2002, the ship moved to northern Europe, and in 2007 it was sold to Louis Hellenic Cruises and began offering Greek Island cruises. In 2014, the ship was renamed Celestyal Crystal, and in 2015 she had an unfortunate collision with a tanker. Later in 2015 she underwent a major refurbishment and she continues sailing today. This ship was constructed in 1988 for Royal Cruise Line as Crown Odyssey, though in 1989 NCL purchased the entire cruise line. 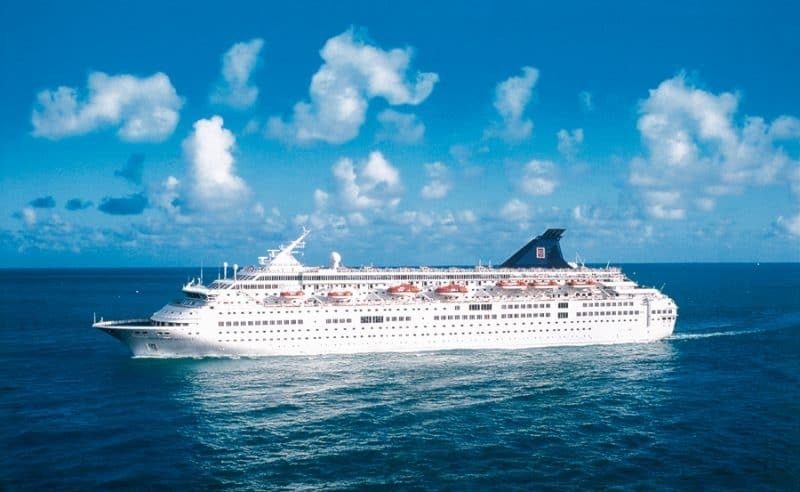 Crown Odyssey continued to sail with her original name until 1996, when NCL reorganized its various fleets and the ship was renamed Norwegian Crown. She was shuffled around a bit until 2006, when the ship was sold to Fred. Olsen Cruises. After a major refurbishment in 2008, she was renamed Balmoral. In 2012, the ship was chartered to follow the route of Titanic’s maiden voyage to commemorate the 100th anniversary of that iconic ship’s sinking, and Balmoral conducted a memorial service at the site of Titanic’s tragedy. She continues to sail today. This ship was built in 1993 as Crown Dynasty for Crown Cruise Line, and became Crown Majesty for Majesty Cruise Line in 1997. 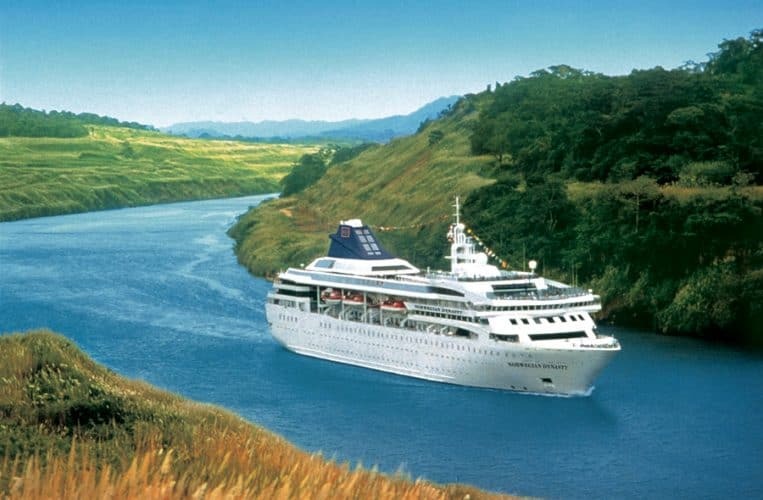 She was only part of the NCL fleet for a brief period, from 1997-1999, sailing under the name Norwegian Dynasty before reverting to her original name with Commodore Cruise Line. In 2001, the ship was sold to Fred. Olsen Cruise Lines and renamed Braemar. A major renovation in 2009 included stretching the ship and adding lounges, pools, and additional cabins, and she is still in service today. Built in 1992 for Majesty Cruise Line, this ship was originally named Royal Majesty until she was purchased by NCL in 1997. She was then lengthened by 110 feet, and offered a range of sailings from Charleston and Baltimore until 2004. Her ownership and operator records became muddled with various sales, transfers, and leases both within the NCL parent company and with different lines for a number of years, but today the ship is owned by Louis Cruise Lines and operated by Celestyal Cruises as Majesty. What Ships Will Leave and Join the NCL Fleet Next? With so many former ships having left Norwegian Cruise Line already, and more ships already under construction to join the fleet, it can be difficult to say which ships may be sold, transferred, or scrapped in years to come. Also Read: The Former Carnival Cruise Ships, Where Are They Now? Even when ships do leave the line, however, it is clear that many of them go on to continue long and productive sailings with a variety of cruise lines around the world, continuing to bring luxury, relaxation, and style to all their passengers. Here are the reasons why you should take and book a cruise on Norwegian Bliss. Covering the Breakaway-Plus class ship's itineraries, race track, bars and restaurants to keep any type cruiser busy during the entire cruise vacation. You're going to find all the NCL advice you've ever wanted! Read these 30 Norwegian Cruise Line Tips and Tricks to help you out and get you prepared for your next cruise vacation with NCL. If you’re traveling with kids, or like non-stop parties, or appreciate a laid-back atmosphere, Norwegian Cruise Line has 3 top-rated ships for your first cruise.